Have you ever tried to throw a ball underhanded? As an unconscious effort each person will rotate their lower body and transfer weight as the hand and arm swing freely down the target line resulting in a straight throw. 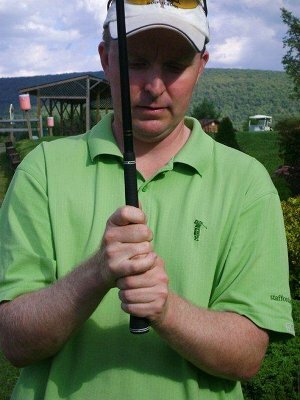 Translate that thought with a club in your hands and let the lower body rotate in the same fashion while allowing the club to swing freely down your target line. The timing of the lower body is working perfectly in sync with the upper body resulting in a more consistent golf swing. Thus, allowing the ball to get in the way of a good golf swing is the key thought. Bird Golf Schools’ mission statement is to deliver “the ultimate golf learning experience”® to their students and they take their mission very seriously. Few, if any schools can match the expertise in Women's Golf. Among the amazing teachers on the Bird Golf staff are Shirley Furlong, a 3-time All American and inducted into the Texas A&M Hall of Fame and Amy Benz an All American and inducted into the SMU Athletic Hall of Fame. Also, three time major winner, Mary Mills is also on staff and can help you with her vast experience acquired over 18 years on the LPGA tour. The Bird Golf Academy designs each ladies golf school with the women’s perspective in mind. Whether you are an executive, a recreational player or an entry level student, they have the perfect school format for you. Their women-only golf school vacations are available at all of their sites and golf resorts around the USA. The Bird Golf Academy can design any format of golf school with either of their incredible LPGA professionals or PGA Professionals who have expertise in teaching women. 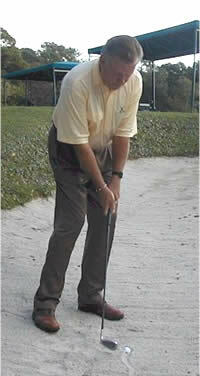 They offer one-on-one as well as two-on-one classes, however can customize a golf school for a group of any size. For special group packaging and pricing please visit their website. Whether you're a low handicap player looking to master your short game or a total beginner who wants to learn the fundamentals, Bird Golf's exceptional teaching staff can help you meet your objectives. The school offers twenty spectacular Resort locations in Arizona, California, Colorado, Georgia, Florida, Minnesota, Nevada, New Jersey, North Carolina, South Carolina & Tennessee.